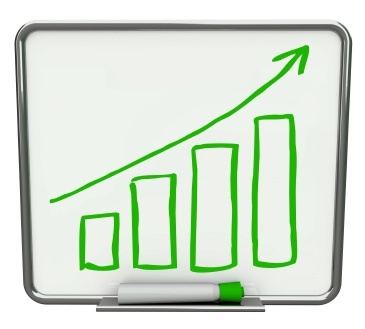 Since Ayima launched in 2007, we’ve been crawling the web and building our own independent backlink data. Starting off with just a few servers running in our Directory of Technology’s bedroom cupboard, we now have over 130 high-spec servers hosted across 2 in-house server rooms and 1 datacenter, using a similar storage platform as Yahoo’s former index. Crawling the entire web still isn’t easy (or cheap) though, which is why very few data providers exist even today. Each provider makes compromises (even Google does in some ways), in order to keep their data as accurate and useful as possible for their users. The compromises differ between providers though, some go for sheer index size whilst others aim for freshness and accuracy. Which is best for you? 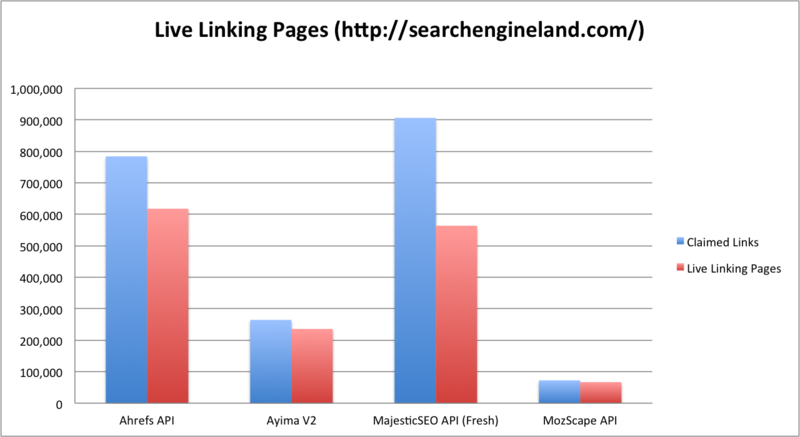 This article explores the differences between SEOMoz’s Mozscape, MajesticSEO’s Fresh Index, Ahref’s link data and our own humble index. This analysis has been attempted before at Stone Temple and SEOGadget, but our Tech Team has used Ayima’s crawling technology to validate the data even further. We need a website to analyze first of all, something that we can’t accidentally “out”. Search Engine Land is the first that came to mind, very unlikely to have many spam links or paid link activity. So let’s start off with the easy bit – who has the biggest result set for SEL? 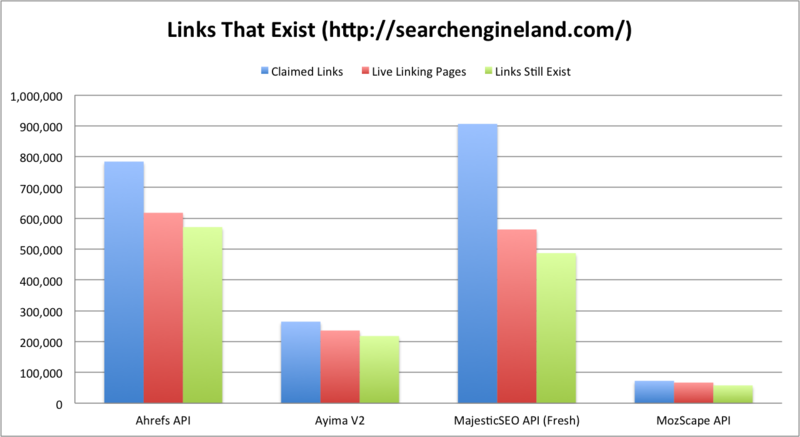 Ahrefs wins the live links contest, finding 84,496 more live links than MajesticSEO and 513,733 more live links than SEOmoz’s Mozscape! I still wouldn’t use Ahrefs for comparing competitors or estimating the link authority needed to compete in a sector though. Not all links are created equal, with Ahrefs showing both the rank-improving links and the crappy spam. I would definitely use Ahrefs as my main data source for “Link Cleanup” tasks, giving me a good balance of accuracy and crawl depth. Mozscape and Ayima V2 filter out the bad pages and unnecessarily deep sites by design, in order to improve their data accuracy and showing the links that count. But when you need to know where the bad PageRank zero/null links are, Ahrefs wins the game. So we’ve covered the best data for “mentions”, the best data for “link cleanup”, now how about the best for competitor comparison and market analysis? The chart below shows an even more granular filter, removing dead links, filtering by unique Class C IP blocks and removing anything below a PageRank 1. By using Google’s PageRank data, we can filter the links from pages that hold no value or that have been penalized in the past. Whilst some link data providers do offer their own alternative to PageRank scores (most likely based on the original Google patent), these cannot tell whether Google has hit a site for selling links or for other naughty tactics. Whilst Ahrefs and MajesticSEO hit the top spots, the amount of processing power needed to clean their data to the point of being useful, makes them untenable for most people. 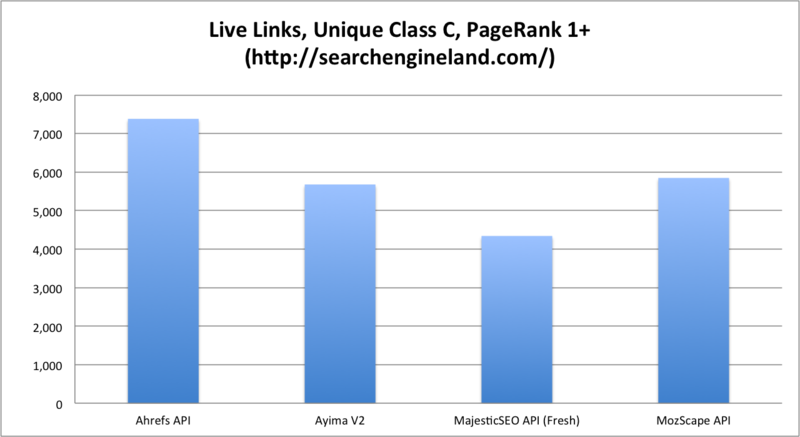 I would therefore personally only use Ayima V2 or Mozscape for comparing websites and analyzing market potential. 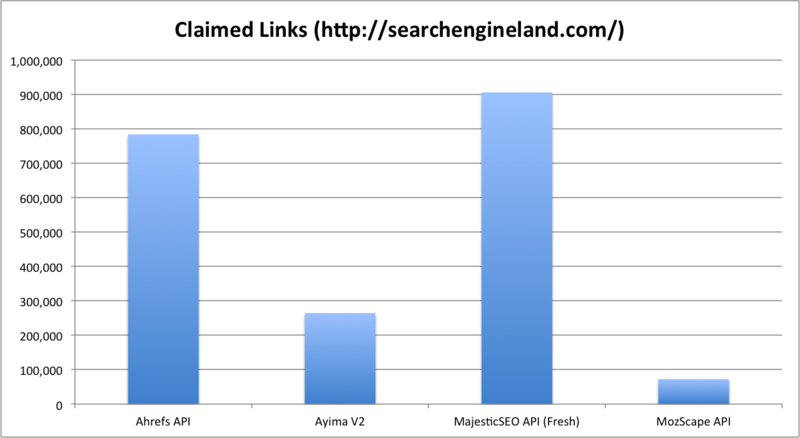 Ayima V2 isn’t available to the public quite yet, so let’s give this win to Mozscape. “Index Rank” is a ranking based on who has the most value-passing Unique Class C IP links across our entire index. The league table is quite similar to HitWise’s list of the top traffic websites, but we’re looking at the top link authorities. Want to do something cool with the data? Here’s an Excel spreadsheet with the Top 10,000 websites in our index, sorted by authority: Top 10,000 Authority Websites. Rob Kerry is the co-founder of Ayima, a global SEO Consultancy started in 2007 by the former in-house team of an online gaming company. Ayima now employs over 100 people on 3 continents and Rob has recently founded the new Ayima Labs division as Director of R&D.